I unexpectedly bought a CNC mini-mill a couple of weeks ago and since then I’ve been trying to learn about CAD and CAM software. It came with the very popular Mach 3 controller program and that will be enough to get me started cutting metal. But my understanding is that sooner or later I’m going to need CAD/CAM software if I want to design a part on my computer and then make it on the mill. So I’ve been trying to find the best software in my price range. So far all I know is that there are a lot of similarities between choosing software and finding a compatible girlfriend. There are lots of choices available, so you have to visit a lot of web sites to find software that catches your attention in a special way. Then you have to download the demo version and see if you enjoy spending time with it. You also have to try to find out if the software has the features and capabilities you’ll need to develop a successful long-term relationship. Unfortunately, serious issues may not become apparent until after you have invested a considerable amount of time, effort and money into your relationship. I’m just a hobbyist, so it has to be affordable. $200 is probably the most that I might be willing to spend and I would prefer to pay $100 or less. Free is good, and I know that there is free software available. However, I don’t want to spend a lot of time learning how to use a free or cheap program just to save a few bucks and then find out it won’t do what I need it to do. It has to run on Windows. I think Linux is great but I’m not willing to switch yet. Free and easy-to-understand tutorials have to be readily available for it. This is really important. I’ve played around with CAD software in the past and they all seem to have a long learning curve. That doesn’t bother me, but it does bother me when there aren’t any good tutorials for beginners or you have to pay for them. I was given a lot of good suggestions. Unfortunately there was no consensus, so it looks like I’ll be trying software demos for a while. I have been going through a similar process. I have an X2 that I have cobbled together into a working CNC (but it still needs work). Your CAD choice depends on what type of parts you want to work make. It you are interested in geometric parts, I would suggest look into Alibre Design. It is a full scale parametric CAD package for MUCH less than the other big names for personal and commerical use. It is already a polished product and getting better all the time. There are YouTube training videos and other sites that have training as well as training provided by Alibre. Its interface is not the same as AutoCAD, so the AutoCAD course would not be directly applicable. If you decide you like it, I get 2 extra months of support and it does not cost you any extra. Even if you do not use the link, I would suggest you take a look at Alibre. Alibre does have CAM available, but it is not priced as well as the CAD part. 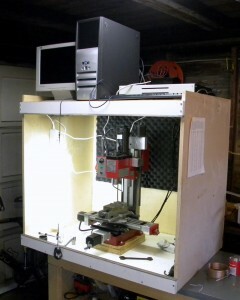 I use another program (MeshCAM) for the CAM side of CAD/CAM. MeshCAM is not as polished as Alibre, but it is also getting better. It is for designed for 3D mesh-type surface machining, but is getting better at the 2-1/2D side. With the CAM portion also, it really depends on the type of machining you want to do as to the CAM software to choose. HeeksCAD/CAM is an interesting opensource project that I am keeping an eye on that looks like it is going in the right direction and has a combined CAD and CAM version. It is not to the point that I would want for it to be my only software choice, but it is developing. Sorry for the long post. There are a lot of choices in these areas. Let me know if you have any questions. Yes, I second Alibre. This is probably the the best 3d cad software available for the price. I use it on a daily basis. They also have a free version which is very useful. The only big limitation is you are limited to 10 parts in an assembly. The software is easy to learn and can be done with freely available tutorials. They also have video training that you can use.